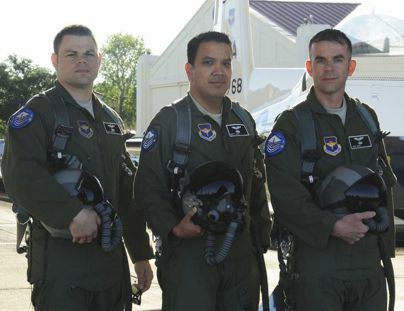 The Free PDG project helps Airmen prepare for the Air Force promotion test. 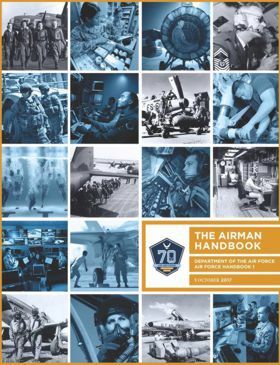 It provides a complete, section by section, chapter by chapter, review of Air Force Handbook 1, the current reference for promotion testing. And yes, it's free for 30 days. 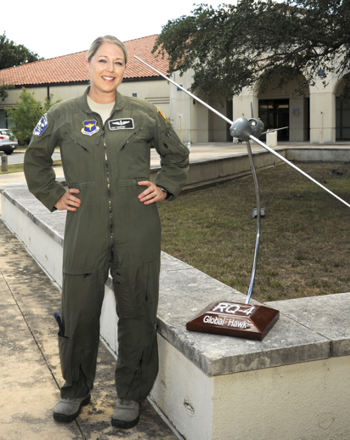 Purpose: To get you promoted. Method: The questions in the Section quizzes follow the order of the section. The Chapter review tests, at the bottom of each chapter page, include every section (and all questions) appropriate for the grade being tested for and presents them in random order. 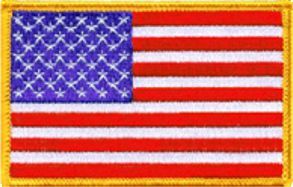 Pre-Test: The 100-question practice tests under the Practice Test tab provide a realistic assessment of readiness for the big test. They draw from a pool of 4,500+ questions, include the sections and chapters appropriate for each grade, and present a different, random test on each use. Paper Format: There is a paper/printed test option available for all quizzes, review tests, and pre-tests. Last Minute Testers: If you put off studying until the last minute, the 100-question tests under the Miscellaneous tab provide a shortcut to success. Spend a couple of hours mastering these tests and dramatically improve your chances for promotion. The site has been updated for the 2017-2019 AFH-1. 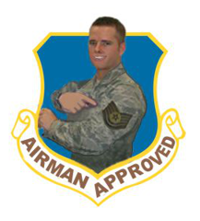 The 2015 AFH-1 content will be maintained for out-of-cycle testers. As always, if you're not testing out-of-cycle, do not use last year's study material. There have been a lot of significant changes, additions, and deletions. Free PDG continues to be the most widely used method for studying for promotion. The Google analytics map above shows where visits came from. 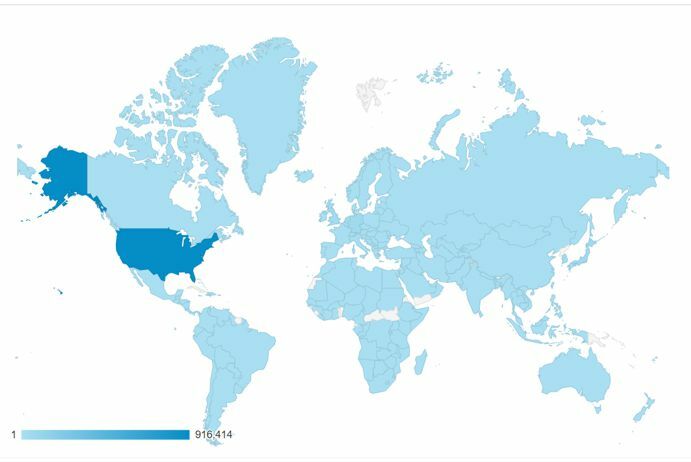 Any country colored blue was the source of one or more visits. The darker the shade of blue, the more visits. 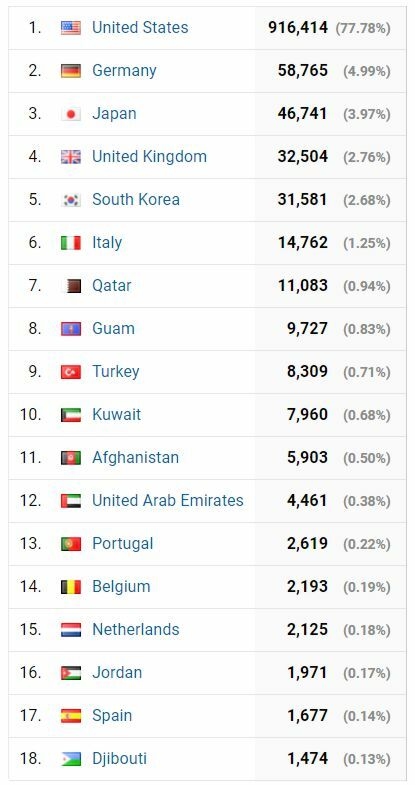 As you can see, the vast majority of visits came from the U.S. but other countries sent significant traffic as well. KnownHost hosts our website and ensured we had zero downtime over the last two years. Comodo provides our SSL certificate which protects our visitors' information and ensures a secure registration. Site security continues to be a high priority. Sucuri provides daily malware monitoring.